Operating on a single 18650 battery, the SMOK XPro M65 goes up to a whopping 65 watts and supports a wide range of atomizer resistances from as low as 0.2 ohm to as high as 4.0 ohms. The smart LED screen displays all the crucial information you need about your vaping settings including remaining power, wattage, voltage, and atomizer resistance. All of the standard safety features you expect from a box mod are built into the M65, including short circuit protection, 12-second automatic cutoff, low resistance detection, and high temperature automatic shutdown. The M65 also has a stealth restart button that you can press when your unit starts to feel sluggish or suddenly stops working. 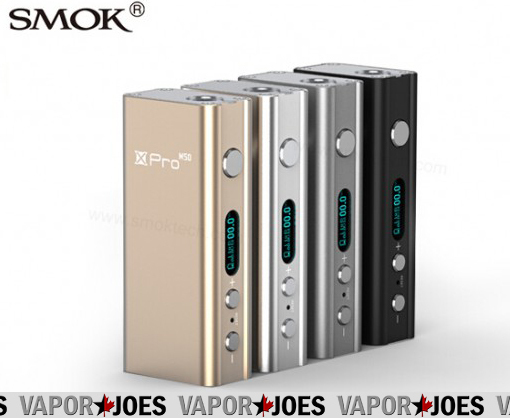 With its compact size, well-thought-out design details, and powerful output, the SMOK XPro M65 has given birth to a new generation of vaporizers that’s better by every measure.